The views from this secluded Kentucky cabin are magnificent. 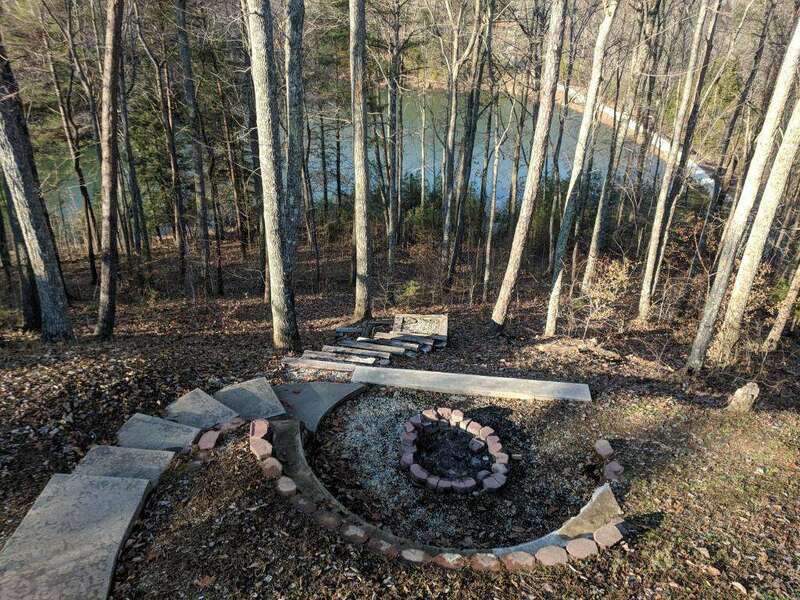 The lake is below on one side with private dock; and the woods and cliffview are on the other side. Has hot tub, covered deck, built in fire pit, den room, grill and gas fireplace. This brick and stone 3 story house has 3-BR, with 4th sleeping area in the den with queen bed, 3-BA and sleeps up to 12 people. The master BR has one queen bed, one upstairs BR has 2 queen beds, the second BR upstairs has one queen and 2 twin beds, the downstairs den has a queen bed. Each floor has a bathroom. It comes with all the modern amenities including Wi-Fi, central heat/AC, dishwasher, washer/dryer for long stays, Jacuzzi tub, stone gas fireplace, vcr/dvd, cd player, and sat. tv on main floor, Foosball & outdoor hot tub, gas grill, wrap around deck. This chalet has the convenience of the 2nd den area that has the Foos Ball table, 2nd tv for video games (not a satellite tv on this floor), couch and chairs for entertaining. 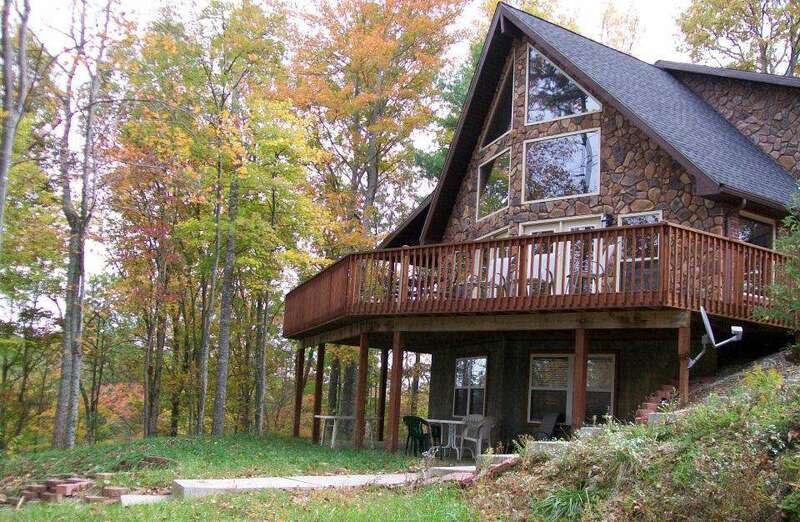 Conveniently located on Deer Water Lake in Cliffview Resort, it allows groups and family reunions perfect opportunities for large get-to-gethers when other cabins on the lake are rented out also. Comes with its own private dock. Fishing, swimming, and all other water activities are "AT YOUR OWN RISK". Easy driving access and plenty of parking. Flat all the way in. Perfect for motorcycles or someone pulling a camper. Comes with its own private dock.